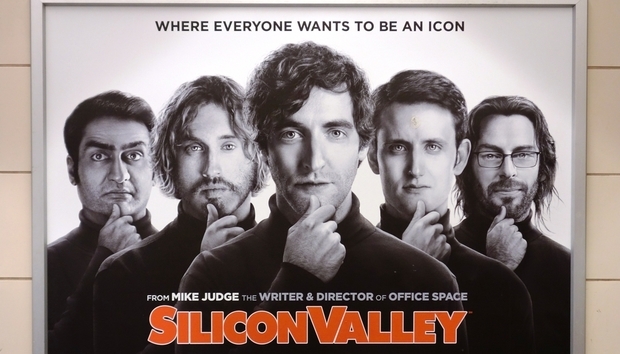 Do you watch Silicon Valley? The HBO comedy-drama has become cult viewing in the real Valley because, despite being essentially a satire, it’s often uncannily close to what a lot of us working in the California tech sector see every day: the thrill of innovation, the ups and downs of fundraising, the need to persuade an audience, the challenges of making teams work together, startups with boundless ambition, hard-faced incumbents out to crush their spirits and more. I want to write about the Series 3 episode where our hero, Pied Piper founder Richard Hendricks, is battling for the beating heart of his company. He has been displaced from the CEO position in favour of Jack Barker, a software biz veteran, and a crew of new, sales-focused hires want to turn the Pied Piper technology into a datacentre storage box. Richard is appalled because he wants to build a world-changing platform centred on his amazing data compression algorithm. Reader, I know that feeling. Kind of. At Nutanix, we were lucky in that nobody ever tried to persuade us to give up on our vision, but at another place with a different culture it could have happened. We wanted to build a platform rather than a point solution and that decision is always pivotal when building a company. In Silicon Valley, Barker’s people want quick wins, cash through the door and a simple sales narrative so they push for a point solution box. Going the other way, the way Richard wants to go, is tough: there are lots of moving parts, deep technical challenges, it takes longer to design, code and engineer and you have to find a way to tell a wider story. But get those things right and the upside is much bigger. Think of how Microsoft grew. The company had a simple operating system, DOS, but it wasn’t content to milk the revenues from that cash cow, so it developed an operating system with a graphical user interface, Windows. It was only with the third version of Windows that the product was commercially a huge hit but when it hit, it changed the PC business and the way most people used computers. But that wasn’t enough for them: Microsoft developed productivity applications, a server OS, enterprise applications, developer tools, a games console… Windows was at the core of a much broader ecosystem of products and people, and that willingness to take chances and invest created one of the most successful businesses ever. Some people learned from Microsoft. Look at the biggest companies in tech today: Google, Amazon, Facebook, Apple and (still) Microsoft never stop learning, developing and releasing products. The old advice to “stick to your knitting” and focus on one specific niche or talent is used less and less, and we expect leading companies to cross categories and audiences with their incredibly wide platform plays. Our spin on this was to build an operating system for hybrid datacentres that do far more than one thing: they provide a crow’s nest view of the elements in it at the same time as they automate creation and maintenance of the algorithms to accelerate compute, storage and networking. A system that uses machine intelligence to learn, seek and provide better answers, but also has the humility to know that not all answers can always be provided by machines alone. We challenged ourselves to build a platform that brings beauty and delight to the human interface; the mundane and the important. It would have been easier to not build a hypervisor or to just pick one area to focus on, but we wanted to build a platform, we wanted to redefine how humans interacted with machines in the datacentre. The platform, the full-stack, the datacentre operating system or whatever we want to call it, is much more interesting, strategic, differentiating and, in the long-term, far more valuable. But that tension between cashing in quickly and creating future-proofed value has always existed and you can still see it everywhere. The same dynamic is taking place in datacentre infrastructure where some players are, just like Jack Barker, going the box route, squeezing together one or a few server capabilities in a single appliance and leaving the rest to other, more powerful companies. To build a great platform you have to be permanently reinventing it, adding to it and improving it through continuous iteration. The alternative is stasis and decay and you can still see many companies treating their old technology as ways to print money. In the latest series of Silicon Valley, Richard’s restless spirit takes him in another direction and his latest project involves no less than the creation of a decentralised internet. Richard Hendricks is a true Valley hero: a risk taker with a vision and a refusal to back down even when the stakes are high, the tech challenges tough and the competition rough. Some people will think he’s crazy; me, I’m backing him all the way.